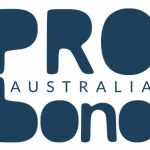 Australia's only conference focused on working with men to end family violence will take place in Sydney in February 2018 and is offering a special discount rate for Pro Bono Australia readers. Australia’s only conference focused on working with men to end family violence will take place in Sydney in February 2018 and is offering a special discount rate for Pro Bono Australia readers. We’ve all heard that we need to take an integrated approach to end family violence. Unfortunately, an integrated approach is something that is much more easily said than done. The good news is, it’s starting to happen. At the community level we’re seeing more and more examples of coordination and collaboration. The Mid North Coast’s Engage2Change project focuses on working with men while also offering specialist domestic violence services to women and children. In Mildura there’s the partnership between Meminar Ngaang Gimba and Dardi Munwurro with the former providing services to women and the latter working with their partners. Another great example is NTV’s NSW branch and its co-location, and close working relationship with DV NSW. At the state level we have Victoria’s Support and Safety Hubs. While still in their formative stages, they will provide a way for women, children and young people to access coordinated support. This coordination should also keep perpetrators in view and increase accountability. Criterion’s Working with Men to End Family Violence conference is taking place in Sydney on the 13th and 14th February 2018 and will provide more information on how we can increase integration. The CEO of No to Violence (NTV) – the peak body for organisations and individuals working with men to end family violence in Victoria and New South Wales – Jacqui Watt, will provide a practical guide in her session on “Developing an integrated approach to intervening in Men’s use of family violence”. This is Australia’s only conference focused on working with men. Increase collaboration, coordination and integration. Quote CC*PB​ when registering online and save an additional $100 off the current price.